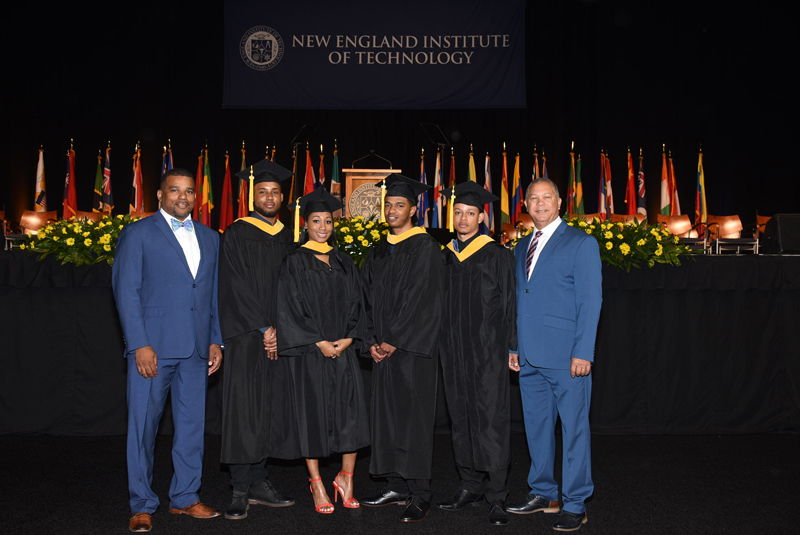 The Minister of Education and Workforce Development Diallo Rabain, today [May 21] offered congratulations to the Bermudian students who recently graduated from the New England Institute of Technology [NEIT]. The Department provides funds for students in the amount of $10,000.00 per year. In addition, students attending NEIT receive an additional $7000.00 from the school. Students receive a total of $17,000.00. The funding was made possible through a Memorandum of Understanding [MOU] signed between NEIT and the Department of Workforce Development which stipulates that both organizations cooperate in education and training initiatives which will further develop the skilled labour force of Bermuda through developing and accessing educational programs. New England Institute of Technology is a private, non-profit technical university with an enrollment of more than 3,000 students and is accredited by the New England Association of Schools and Colleges, Inc. Founded in 1940, the university offers more than 55 associate, bachelor’s, master’s, and online/hybrid degree programs focusing on a proven combination of technical expertise coupled with hands-on learning. The Following is a list of students who received degrees.